As I write this, NASA has just passed another milestone in releasing its work to the Open Source community. 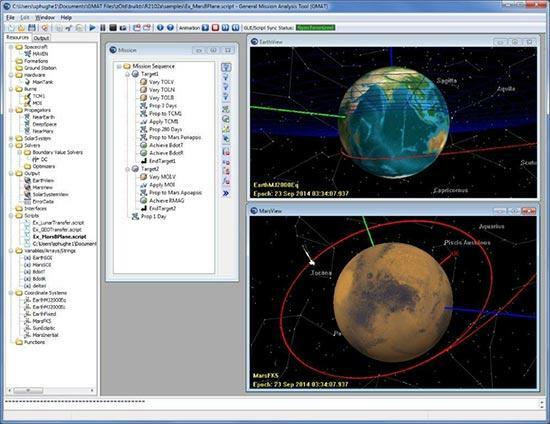 A press release came out announcing the release on April 10, 2014, of a new catalog of NASA software that is available as open source. This new catalog includes both older software that was previously available, along with new software being released for the first time. The kinds of items available include project management systems, design tools, data handling and image processing. In this article, I take a quick look at some of the cool code available. The main Web site is at http://technology.nasa.gov. This main page is a central portal for accessing all of the technology available to be transferred to the public. This includes patents, as well as software. Figure 1. 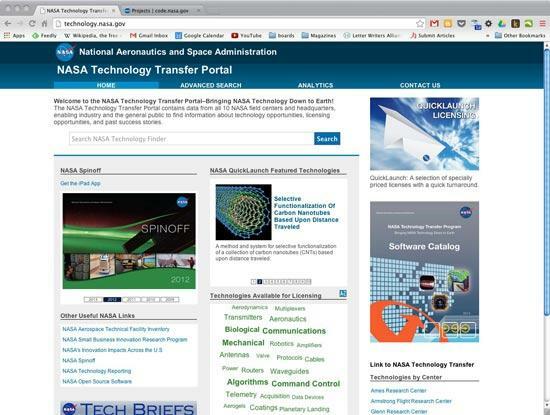 The main technology transfer site is a portal to provide access to everything NASA has to offer. As a quick start, there is a subject cloud in the lower central region of the page that can do a search on several different keywords for you. Unfortunately, this is only a catalog of all the offerings, and it's not quite complete yet in terms of detailed information. So, for example, if you click on Command Control, you will be taken to a results page that includes items like Rendezvous and Proximity Operations Program (RPOP). If you click on that, you will be taken to a details page that is essentially unpopulated. The assumption is that this will be filled in as time allows in the future. It does give you a list of what is available though, which is half the battle. Figure 2. 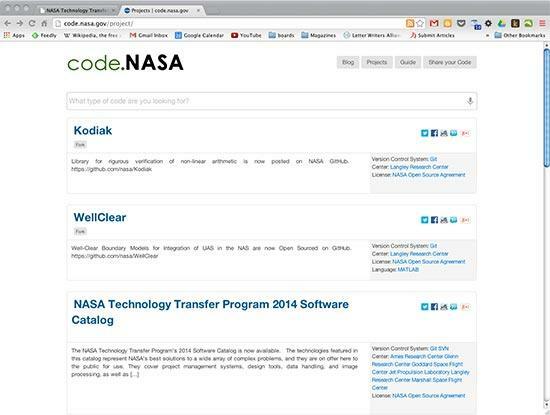 The results page on a search will give you a list of software and patents that are available from NASA. Staying on the result list page, you should notice that there is the name of a NASA center on the right-hand side of each line. This is the actual source for the given patent or software entry. Once you find something of interest, you can go to the individual center's Web site to find more details about it. 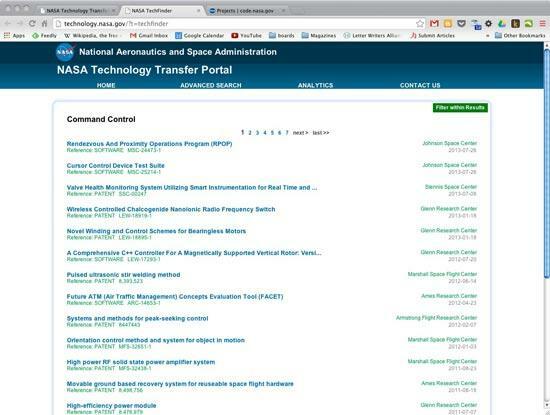 On the lower-right section of the main page of the NASA technology site, you can find direct links to the technology sections for each of the individual centers. The amount of information available at each of these centers varies, but you should be able to find out more details. Some of the sites have direct download links, so you can get the software that interests you. In other cases, sites provide only the contact details for a person you'll need to talk to in order to get copies of the software in question. A PDF catalog also is available on the front page of the main technology site. Here, you can get a 172-page catalog of all of the available software, broken down into 15 categories, for off-line access. One issue that will become evident right away is that not everyone can access all of the available software. Some of the released software is available only to US residents, and some is even more restricted to only parts of the US government. So, is there an easier option for the international community? On the front page, there is a set of other useful NASA links on the lower-left side. The one labeled NASA Open Source Software (http://code.nasa.gov) will take you to a sister site that provides access to a more centralized repository of software released as open source. It is laid out as a list of available code within a WordPress blog, and it looks like it's being updated regularly. So, it's worth keeping an eye on this site for future releases. Figure 3. Software released under open source is available at this blog. So far, I haven't yet looked at what kind of software is available from the technology exchange at NASA, and there is a rather broad collection to play with. The first one I look at here is the Mission Control Technologies (MCT). This package, hosted on GitHub, provides a real-time monitoring and visualizing platform that was developed at the Ames Research Center for use in spaceflight mission operations. It is based on configurable components, so you can use this to build your own application to monitor pretty much anything. Figure 4. 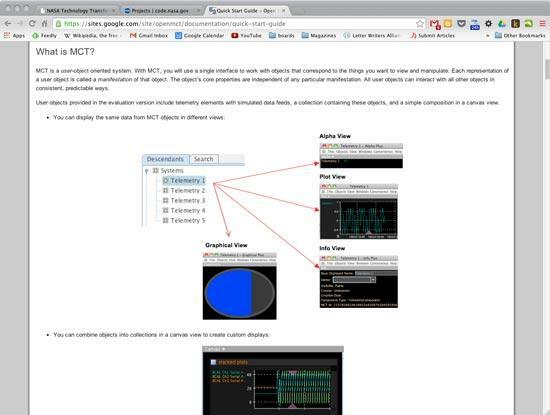 With the MCT, you can build your own application to monitor almost anything. If you want to build your own spacecraft to monitor, you will need some way of controlling its flight. Enter the Core Flight Executive (cFE), a portable, platform-independent embedded system framework developed at the Goddard Space Flight Center. It is used for flight software for satellite data systems and instruments, but you can use it for other embedded systems. It is built from subsystems including executive services, time services, event services, table services and a software bus. 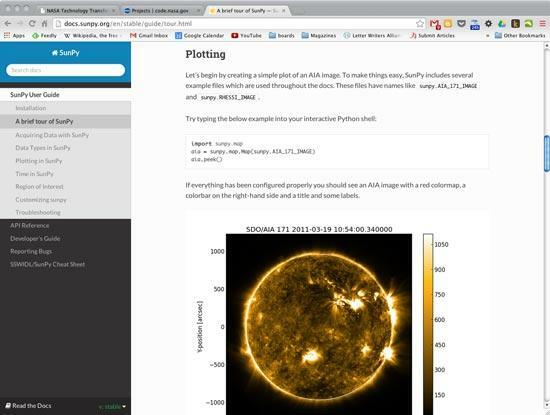 Python programmers can download SunPy, a library to handle several tasks you run into when doing solar science. Figure 5. You can do all kinds of solar science with SunPy. For many scientific applications, you need to use clusters of machines. NASA is no exception to this. To handle the complexities, several software packages are available. For dealing with files, there are the Multi-Thread Multi-Node Utilities (Mutil). Mutil provides mcp and msum, which allow for parallelized access to files for moving around a cluster. If you have a cluster of machines available over SSH, you can use them with Mesh (Middleware Using Existing SSH Hosts). Mesh provides a lightweight grid middleware that can group your cluster hosts into execution units. You then can issue a command, and Mesh will handle going to one of the available hosts in your group and running this command. If you need an interactive session, there is Ballast (Balancing Load Access Systems). With Ballast, when you try to SSH in to your cluster, you actually end up being shunted onto an available host within your cluster automatically. The last package I want to look at is mission analysis. There is the General Mission Analysis Tool (GMAT), which is designed to help you plan your next trip to Mars. You can use GMAT to model, optimize and estimate spacecraft trajectories. You can create physical resources required for the trip, like the spacecraft, thruster, tank, ground station and so on, and model how the trip will play itself out. There also are analysis model resources, including differential correctors, propagators and optimizers to define the details of the model. The user guide describes the multitude of available options. There also is a series of tutorials, including simulating an orbit, doing simple orbit transfers or even planning an optimal lunar flyby using multiple shooting that walks you through how to use GMAT in greater detail. Figure 6. GMAT can help you plan out your next deep space mission from the comfort of your own living room. Now that you've looked at some of the newly released code from NASA, hopefully your interest is piqued enough to go exploring through the more than 1,000 other pieces of code available there. You never know what you may find. If you find something really interesting, please share it with the rest of us!